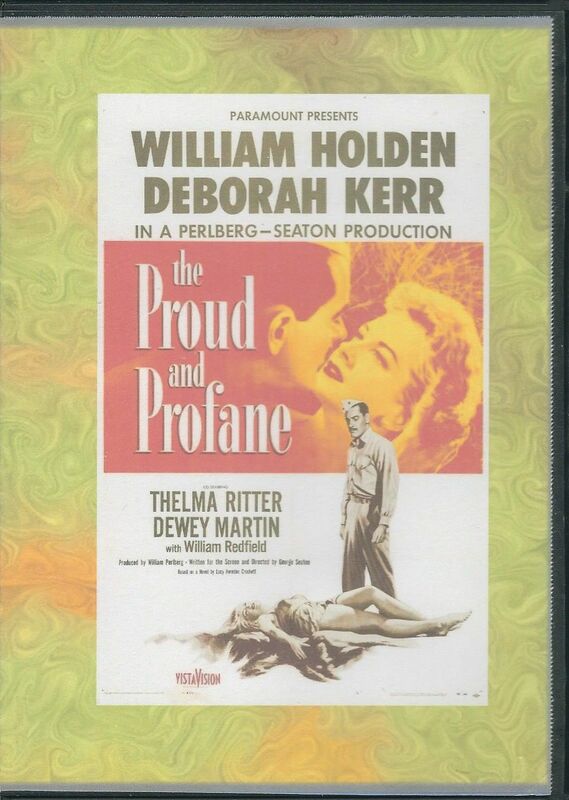 The Proud and Profane (1956) - Classic Movies on DVD. In Noumea, New Caledonia 1943, Lee Ashley (Deborah Kerr), the widow of a Paramarine lieutenant killed on the Battle of Bloody Ridge on Guadalcanal has joined the American Red Cross on the island to entertain American servicemen. 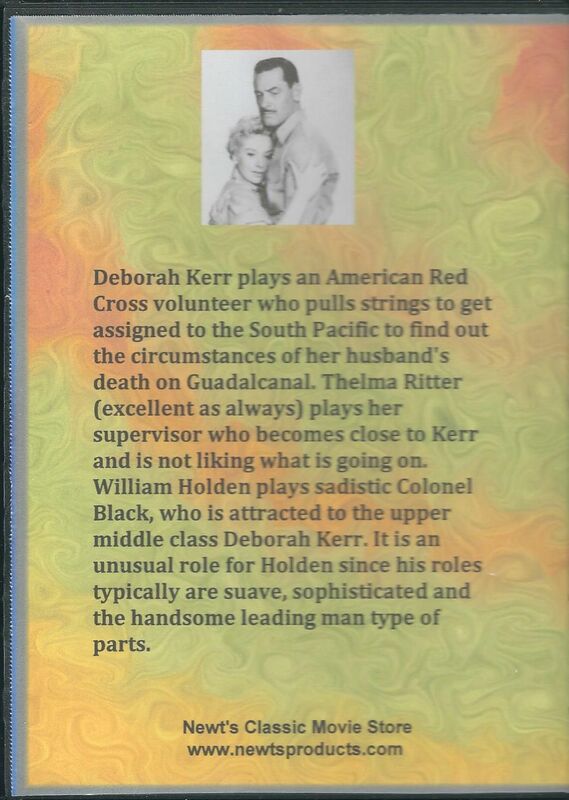 Her leader at the service club, Kate Connors (Thelma Ritter) had initially been reluctant to have her assigned to New Caledonia lest she use her position as a pilgrimage to find out about her late husband. In addition to entertaining, serving the soldiers and giving French lessons, the Red Cross women are expected to help with the wounded — which Lee initially refuses to do. A Marine Raider battalion comes to New Caledonia after fighting in the South Pacific. Their commander, Lieutenant Colonel Black (William Holden) objects to the Red Cross women treating his men softly; he states that the only place for women in war are "skirts" that the men chase and the "sweethearts" that wait for them back home. He changes his mind when he tries to seduce the attractive Lee, who initially refuses his advances. Black decides to gain her interest by pretending he knew Lee's late husband and was with him shortly before he died. Though Lee despises the Colonel's arrogance and demands, she is fascinated by him and falls in love with him. Another member of the battalion is the Navy chaplain, Lieutenant Junior Grade Holmes (William Redfield) whom Kate notices is a changed, silent, and saddened man since she last knew him. During a battle the Chaplain had gathered some Marines together in prayer. A Japanese soldier, thought to be dead, used the group as a target for his hand grenade, killing several and wounding their sergeant with a spinal injury. Black demotes the wounded sergeant in rank because he should have known better than to let his men gather in the open. Black constantly harasses the Chaplain by never letting him forget that his presence caused their deaths, with the bodies of the Marines shielding the Chaplain from any injury. Holmes's guilt is compounded by a tropical fever and exhaustion from working that has taken its toll. Another man in the battalion is Private Eddie Wodcik (Dewey Martin) whom Kate had adopted and raised in New York when his parents and sister were burned to death in a tenement fire. Kate loves him like her own child and he reciprocates when he is not being watched by his fellow Marines. Eddie feels that Lee looks exactly like his sister would have if she hadn't died and becomes her protector, promising violent retribution against anyone who doesn't show Lee respect. Eddie demonstrates his ability by giving a disrespectful sailor (Ross Bagdasarian) a jiu jitsu throw to the floor. Lee and the colonel have dinner on board an American warship. A former neighbor of Lee is now a naval officer (Peter Hansen) on the ship and is present at dinner. Lee and the naval officer spend the evening talking about their pre-war civilian lives in a wealthy community. An angry Black later relates to Lee his life of childhood poverty as a half Indian in Montana. 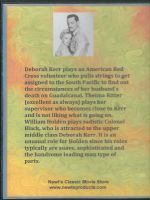 When the Raiders are shipped out for a couple of months, Lee discovers she is pregnant and that the colonel has a wife in Washington. She later learns things about her husband that she never knew. The hot-headed Eddie also discovers what his colonel has done to Lee. Click Here for a video clip of this movie to view the quality of the video before you purchase. The cost of this item is $9.99. This is good quality picture and sound. This DVD comes with artwork, label and case. See provided images above, these images are of the actual items. This product is NOT a commercially released DVD, it is manufactured on demand using DVD-R recordable media (burned). If your DVD drive or player was made prior to 2001, it may not support DVD-R discs. The following chart has been compiled from various industry sources, vendors and customer feedback to help you determine compatibility. Click here for link to DVD-R Media Compatibility Chart. If the disc does not play on your disc player I will refund your purchase price plus $5.00 for your expense to return the items. If you should receive a “bad” disc, the defective disc will be replaced. Free shipping with tracking only within the U.S. Please allow up to 7 days for production and shipping as this item is made on demand not ahead of time. PLEASE NOTE: We only accept PayPal. So please be aware of this before you buy. If you do not have a PayPal account you can sign-up for free, there is no charge or fee to purchase using PayPal. If you have any questions please comment in the Newt's Products Feedback Form. Thank You.